Xiaomi smartphone users can avail up to get 5GB additional 4G data per month for six billing cycles with recharge of Rs 309 on Jio's 4G network. The offer is applicable to subscribers enrolling between June 16, 2017, and March 31, 2018. 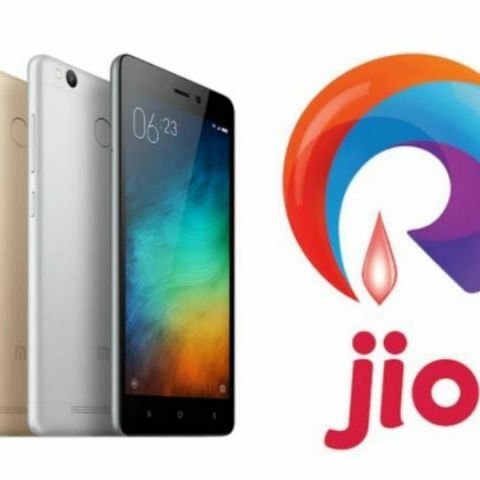 Reliance Jio has announced an additional offer of 30GB 4G data to Xiaomi smartphone users subscribing to its 4G VoLTE services. The announcement comes just a day after Vodafone announced additional 4G data with the purchase of HMD Global's Nokia 3, Nokia 5 Nokia 6, and the recently OnePlus 5 smartphones. Under the new plan, Jio will offer additional 5GB 4G data per month for six months to eligible subscribers. The offer is applicable for users of the Xiaomi's Redmi 2, Redmi 2 Prime, Redmi Note 4G, Redmi Note 4G Prime, Mi 4i, Redmi Note 3, Mi 5, Mi Max, Mi Max Prime, Redmi 3s, Redmi 3s Plus, Redmi 3s Prime, Redmi Note 4, Redmi 4A and the Redmi 4 smartphone. The additional data will be offered to above mentioned Xiaomi smartphone users recharging with Rs 309 or above between June 16, 2017, and March 31, 2018. Users should also be enrolled in 'Jio Prime' membership plan to get this offer. Reliance Jio's terms and conditions note that the additional data voucher will be credited to the eligible subscriber within 48 hours of recharge. Jio users can activate the additional data by downloading the MyJio app and heading to the My Vouchers section, followed by View Voucher. Jio says the additional data will be discontinued if Xiaomi users switch to another smartphone. Reliance Jio already offers 1GB 4G per day as part of Rs 309 recharge to Jio Prime members. The telecom operator also offers additional 4G data with the purchase of select smartphones from Samsung, Oppo and Vivo. Reliance Jio users getting the connection with LYF-branded smartphones get 20 percent extra data.